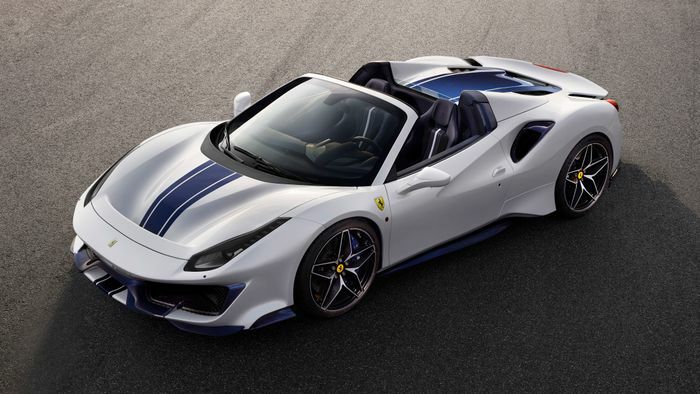 You probably knew it would happen, and it has: Ferrari has created a 488 Pista Spider that’s somehow even more uncompromising than the coupe. Fitted with the same jaw-dropping 710bhp turbocharged 3.9-litre V8, tuned to deliver increasing torque at higher revs to feel like a normally-aspirated unit, the Pista Spider was unveiled at the Pebble Beach Concours d’Elegance, the same venue that has already seen the launch of the Bugatti Divo. 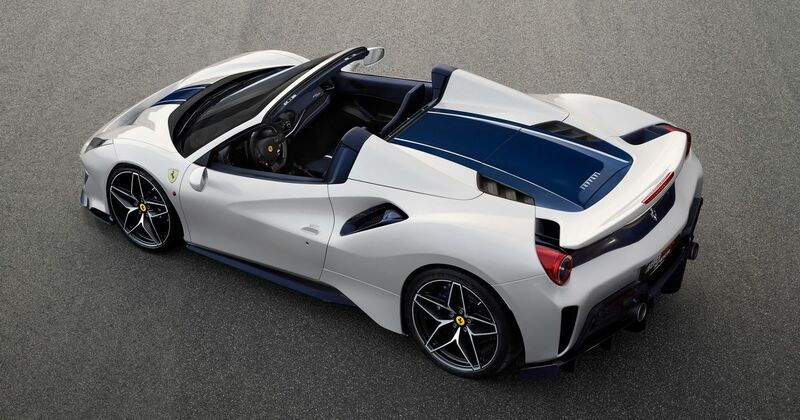 Despite an inevitable spec-for-spec weight penalty of some 100kg over the coupe, Ferrari’s aim for its 50th convertible ever was to keep the Spider’s performance as close as possible to the coupe’s. The raw numbers seem to back that up. 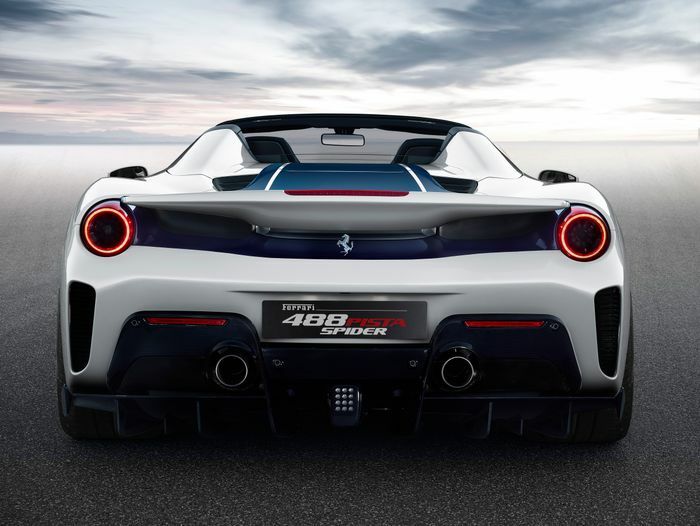 The 0-62mph launch is claimed to take the same 2.85 seconds and 124mph flies by in eight seconds flat; four tenths slower than the hard-top. The penalty pushes the Pista Spider’s minimum dry weight, with all lightweight options selected, to 1380kg. 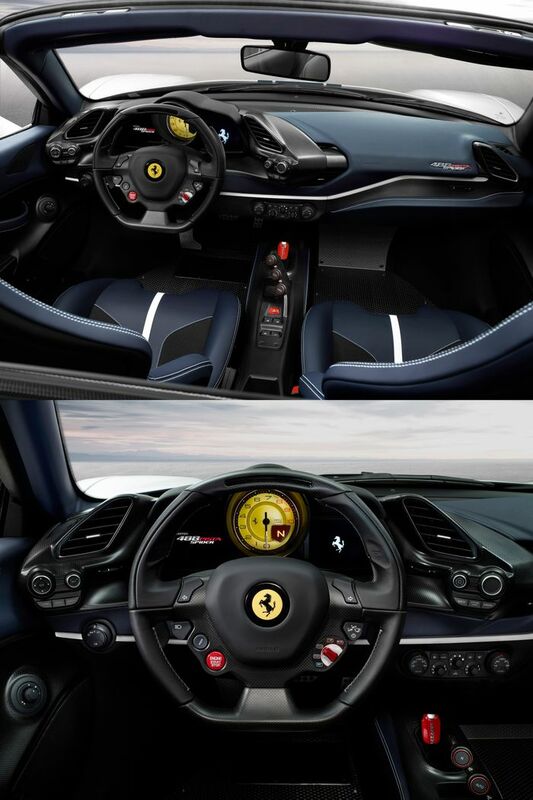 It would have been more if not for a series of extreme-grade weight-reduction measures reminiscent of the iconic F40. The carpets have gone in favour of patterned aluminium plates and the driver’s door handle is now just a strap. Naturally, carbonfibre and special lightweight Alcantara have been applied with all the restraint of a shipwrecked sailor who has just discovered a cask of rum and a freshly-roasted chicken. Interestingly, top speed remains at 211mph. Not that you’ll be doing that at your local beachside boulevard. What you might be doing instead is using all that open air around your ears to better listen to the mighty twin-turbo V8’s music. The new 20-inch wheels are a bespoke design for this model, taking design inspiration from old Ferrari mid-engined ‘berlinetta-style’ items. As with the hard-top Pista, you can specify the floaty-light one-piece carbonfibre rims that cut 20 per cent more weight at each corner. You probably can’t afford one, and there’s no confirmed price yet. 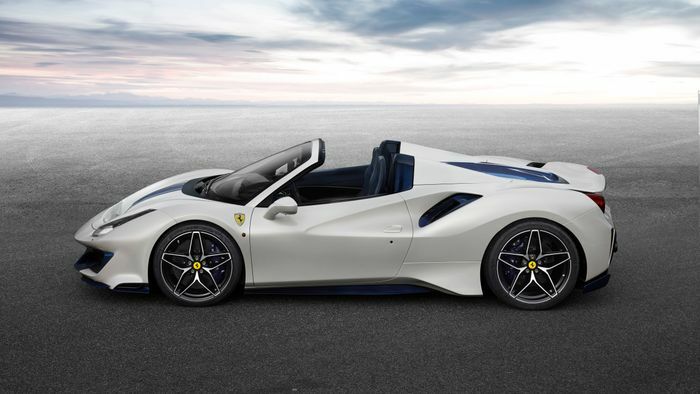 We don’t believe this will be a firmly limited edition, but equally Ferrari won’t be building many.